When is the best month to get married in Malta? 09 Jun When is the best month to get married in Malta? As a wedding planner specialising in Destination Weddings in Malta, one of the first things my clients ask is what is the best month to get married in Malta. 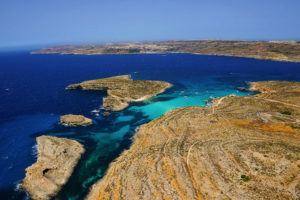 Most are unfamiliar with the climate in Malta and typically need some guidance. Each client is unique and their needs vary. Personally, I think this is one of the most difficult decisions that my clients must make. In addition to considering the weather conditions, prior to committing to a date, there are a number of guest requirements to consider such as their availability; particularly an issue if teachers are part of the bridal party. Also, family members might express an unwillingness to travel during the peak and most expensive travel periods; so finalising a date can be a tricky task. 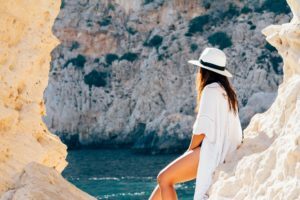 When it comes to satisfying their own needs, some clients long for the sun; after all, that is why they are travelling to Malta in the first place. For others, they want the guarantee of sunshine, with warm but bearable temperatures for an outdoor wedding. The remainder simply want to avoid the long, cold winters at home. They are happy to have an early outdoor ceremony on a pleasant, fine day with views of the Mediterranean and are likely to retreat to an indoor venue in the early evening. There is a lot to consider when determining the best month to get married in Malta. Are you open to the idea of having an indoor back up venue to mitigate the risk of rain? Would you consider having an early evening ceremony to avoid the hottest part of the day? Can your guests tolerate temperatures over 30°C with high humidity? Will you want to avoid peak travel times? Bearing in mind that all of my clients needs are completely unique, I have put together this brief guide to help you decide when is the best month to get married in Malta. July and August are the two hottest summer months and the likelihood of experiencing rain is very low. However, do bear in mind that temperatures and humidity tend to be high. Temperatures can reach 35-40°C. This option is not for the faint hearted! Sunshine is almost always guaranteed, but you need to decide if the sweltering heat is sustainable for you and your guests for the entire wedding day. It would be a good idea to consider having your wedding ceremony later in the day in order to avoid the peak sunshine (your hair and guests will thank you later). Look for a venue that can provide cool, shaded outdoor areas or simply use a cool air-conditioned room for your reception. Pros: Guaranteed sunshine, unlikely to experience rain, indoor back not essential. Cons: Very hot and humid, typically requires a later wedding, peak season therefore higher flight and hotel rates. 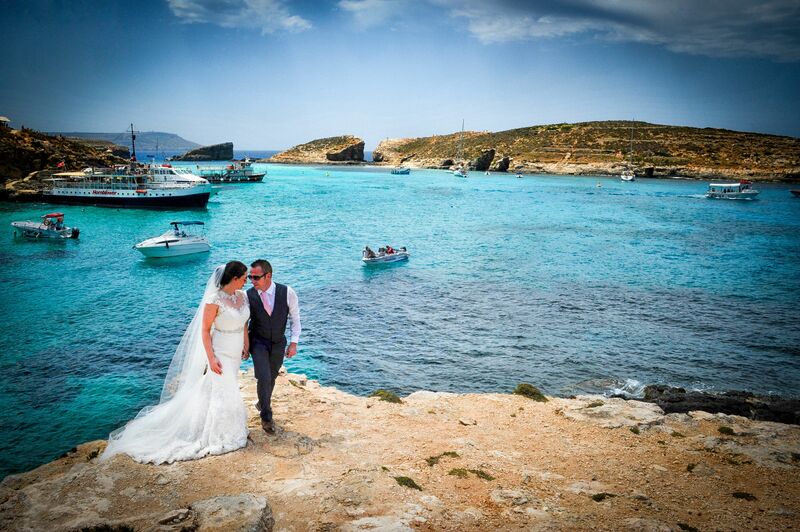 June and September are the most popular months for Destination Weddings in Malta. Temperatures are warm (average of 27-29°C), but manageable. Consider having a late afternoon outdoor ceremony so that the heat is comfortable for your guests. There is a slightly higher risk of rain in September compared to July and August and thunderstorms may be expected towards the end of September, so it is wise to consider having a indoor back-up venue for your ceremony and reception. Pros: Warm temperatures, low risk of rain, less humid, earlier outdoor wedding possible. Cons: Potential thunderstorms towards the end of September, indoor back-up advised, more popular therefore less availability. These months are perfect for those that want to experience the sunshine without having to worry about the risk of uncomfortably high temperatures. Outdoor ceremonies and receptions are possible, as is the risk of rain, so it would be necessary to choose a venue that can provide an indoor back-up in the event of rain and cool evenings. Pros: Warm days, earlier outdoor wedding possible, less humidity, good availability, excellent rates for hotels and flights. Cons: Risk of cooler temperatures and rain increases, indoor back-up essential. Not everyone that travels to Malta for a Destination Wedding is longing for the peak summer temperatures. Instead, they are happy to choose an indoor venue for their reception, typically with incredible views of the Mediterranean and surrounding countryside. Malta is a beautiful location in the cooler months. It is typical to experience temperatures of 15-21°C in November and December. When considering locations for your wedding photography, make the most of the lush green countryside. Malta is the perfect location for a Destination Winter Wedding in the sun. There is a lot to consider when choosing the best month to get married in Malta. You need to identify what it is that you want the most; for me personally it was the guarantee of sunshine, an early ceremony, low risk of rain, with warm but bearable temperatures. So for me, the best month was June. If you need some support on determining what are the best options for your Destination Wedding in Malta, then I would love to hear from you . You can also check out my recent blog for my top 10 reasons to have your Destination Wedding in Malta. 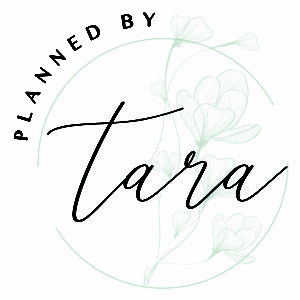 Planned By Tara is Ireland’s ONLY wedding planner specialising in Destination Weddings in Malta. I work with clients from around the world to create fun, bespoke and stylish weddings in Malta. You can follow me on Facebook, on Instagram or join my Couples Forum Facebook Group.